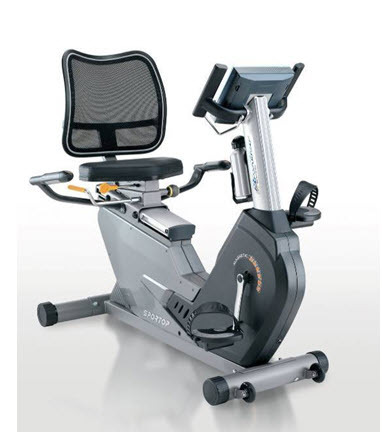 Expect smooth quiet riding on this very nicely designed recumbent exercise bike from Sportop. The feel and body position is excellent. They say that recumbent bikes help you work harder without realising. This one certainly does! The adjustable mesh back support is great for anyone who gets a sore back too. Add to that good quality components, an excellent computer and you have a machine that will become a healthy partner for many years. Feedback : scan, time, speed, distance, calorie, hand pulse, bodyfat test and polar wireless receiver built in. 2 year parts warranty for home use.